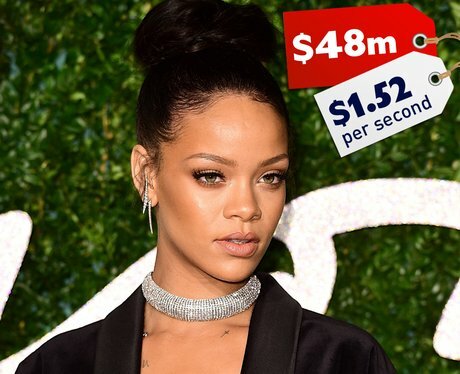 2014 was a pretty quiet year for our favourite Bajan beauty, but she STILL managed to bring in $1.52 a second! It's like being paid a killer wage just to put naughty pictures on Instagram! With a new album coming in 2015, her wealth is sure to grow even more!